The PI3K/Akt signaling axis contributes to the dysregulation of many dominant features in breast cancer including cell proliferation, survival, metabolism, motility, and genomic instability. While multiple studies have demonstrated that basal-like or triple-negative breast tumors have uniformly high PI3K/Akt activity, genomic alterations that mediate dysregulation of this pathway in this subset of highly aggressive breast tumors remain to be determined. In this study, we present an integrated genomic analysis based on the use of a PI3K gene expression signature as a framework to analyze orthogonal genomic data from human breast tumors, including RNA expression, DNA copy number alterations, and protein expression. In combination with data from a genome-wide RNA-mediated interference screen in human breast cancer cell lines, we identified essential genetic drivers of PI3K/Akt signaling. Our in silico analyses identified SOX4 amplification as a novel modulator of PI3K/Akt signaling in breast cancers and in vitro studies confirmed its role in regulating Akt phosphorylation. Taken together, these data establish a role for SOX4-mediated PI3K/Akt signaling in breast cancer and suggest that SOX4 may represent a novel therapeutic target and/or biomarker for current PI3K family therapies. The online version of this article (doi: 10.1007/s10549-017-4139-2) contains supplementary material, which is available to authorized users. We thank members of our laboratory for helpful discussion and suggestions. Research reported in this publication was supported by the National Cancer Institute of the US National Institutes of Health (R00-CA166228), V Foundation for Cancer Research (V2016-013), and from the New Jersey Health Foundation (PC-52-16) to M.L.G. 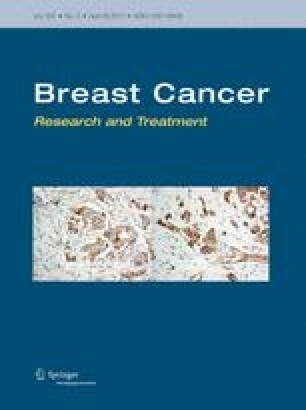 Additional funding for research reported in this study was provided by the National Cancer Institute of the US National Institutes of Health Breast SPORE program grant P50-CA58223-09A1 and R01-CA148761-04, as well as grants from the Susan G. Komen for the Cure and the Breast Cancer Research Foundation to C.M.P. GA.M., J.S.P., C.M.P., and M.L.G. conceived and designed the study. G.A.M., G.O.S., K.A.H., and M.L.G. performed analyses and experiments. G.A.M., C.M.P., and M.L.G. wrote the manuscript. All authors have reviewed and approved the final manuscript. CM.P. is an equity stock holder and board of director member of BioClassifier LLC and GeneCentric Diagnostics. C.M.P. is also listed as an inventor on a patent application for the PAM50 molecular assay. J.S.P. is also listed as an inventor on a patent application for the PAM50 molecular assay. All other authors declare no conflicts of interest.